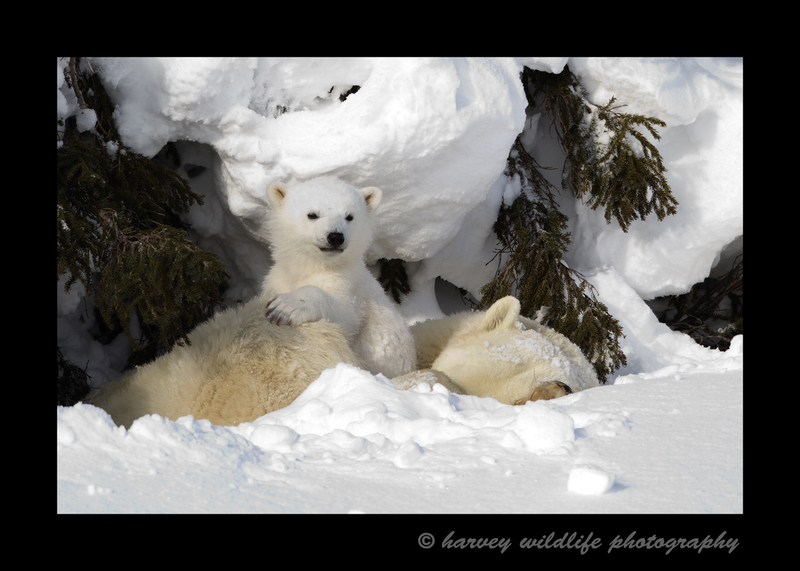 A day den is a somewhat sheltered area that the mother polar bear finds so her and her cubs can rest for a couple hours, several hours or an entire day. If the cubs are tired or a storm comes in, this den provides enough shelter for the bears to stay comfortable. This mother had triplets in this day den.